The Midtown Violets are no strangers to San Pedro. 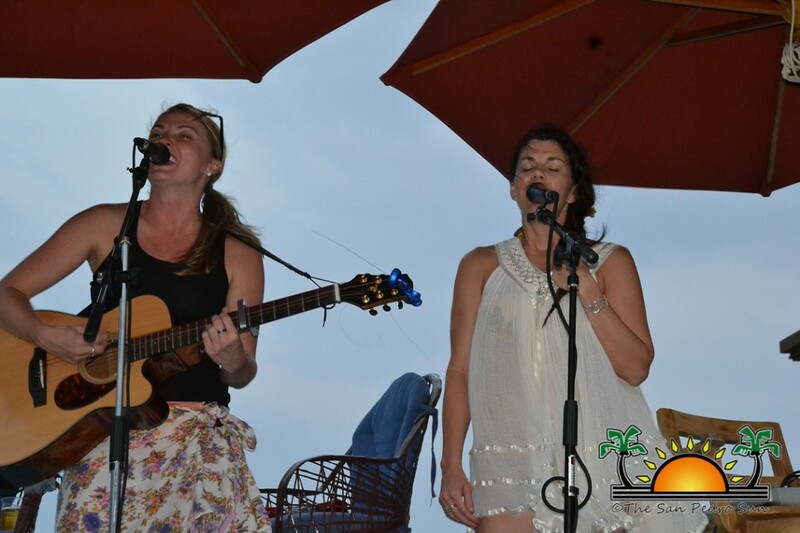 Songstress Karen Waldup first brought her dynamic voice and charm to San Pedro in September 2012 when she performed benefit concerts for the Mama Vilma Family Home at both Wet Willy's and Grand Caribe. In May 2013 she returned to La Isla as a Midtown Violet with partner Ashlee K Thomas to again hold benefit concerts for the same cause. Islanders had a chance to listen to melodious songs from the pair of gifted musicians, becoming more than just fans but friends of the ladies as well. 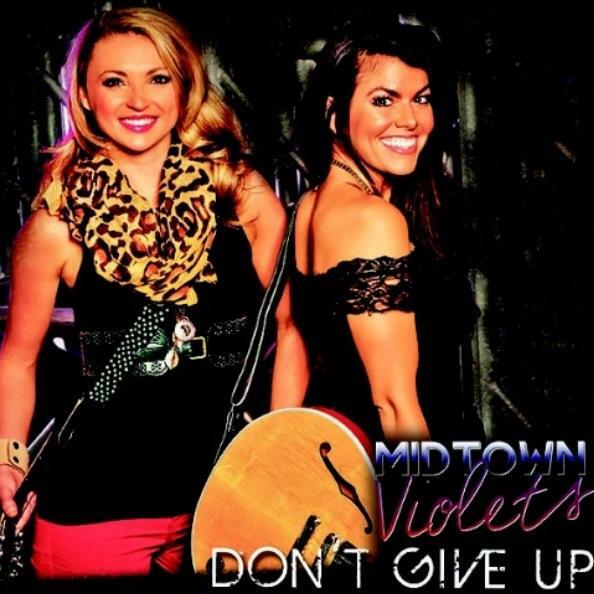 Now Midtown Violets enthusiasts can enjoy even more of their music on the newly released album “Don’t Give Up” which came out on January 12th. This album is the first collaboration for the ladies since they began performing as a duo in 2011 and contains tracks by both Karen and Ashlee. In speaking with The San Pedro Sun the excited ladies shared with us quite a bit on their new album and on how the Midtown Violets came to be. 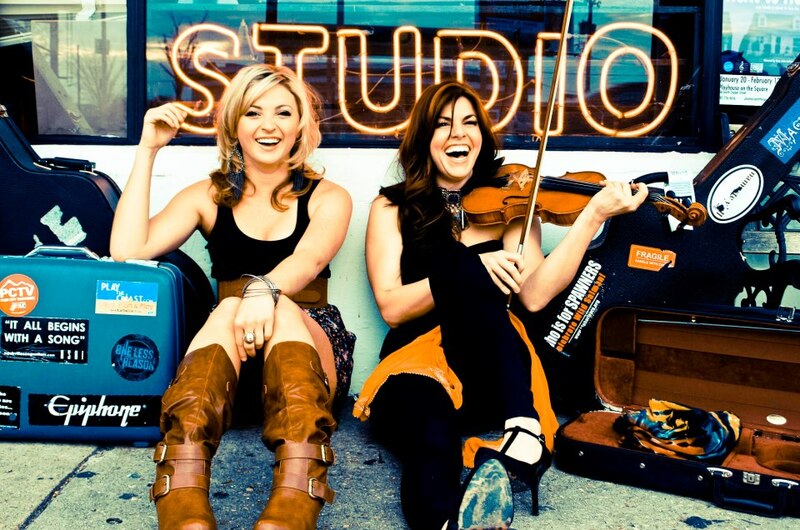 Karen Waldrup and Ashlee K Thomas were both solo artists for ten years before joining forces to create Midtown Violets in 2011. What started out as two friends playing songs together turned into a full time venture, as venues continued to offer their stages to the talented team. The girls have performed over 500 shows together and through this have developed refined musical numbers, with great harmonies, guitar and violin solos, and even a washboard and harmonica at times. Both Karen and Ashlee have recorded solo albums of their own, which they sold successfully however, when people began requesting an album containing the songs they have written together it was time to start working. In Nashville, Tennessee’s (USA) thriving country music industry the ladies are set apart from other acts by their acceptance for an actual life on the highway, and their willingness to set up their own equipment and do their hair and makeup in bathrooms when there’s no where else to get ready, an aspect of performing many artists shy away from. “We are not afraid to do whatever it takes to put on a great live show and I think that the last two years of building our muscles and our craft separates us from other acts in Nashville. “- Karen Waldrup. In describing the new album, “Don’t Give Up,” there’s need for only one word-joyful. “We wanted an album that was parallel to our purpose in playing live; spreading joy. Every song on this album is about joy and is joyful.” While many of the songs performed by the duo in the past involved a lot of heartbreak and sadness, this one is completely uplifting and joyful. While Midtown Violets will begin their album tour from Nashville to Salt Lake City, Utah and everywhere in between, the ladies plan on promoting the album for an entire year and are looking forward to going anywhere the music takes them, hopefully even one day back to San Pedro again.